An award-winning artist has swapped her sketchbook for an iPad – at the age of 79.
compositions on trusty paper using pastels and paints. But the American-born artist now refuses to go anywhere without her #500 Apple iPad, saying it has ”revolutionised” her life and has ”everything an artist needs”. Lillian, who lives in Bristol with her writer husband Robin Amiss, 79, bought the tablet in March and spent $7.99 on the Brushes application. The technological novice then spent the next three months learning to use the device. She takes it out when looking for something to study and draws the subject on the iPad before returning home and converting the composition to canvas. Her progress on the popular tool is incredible, with her computer-generated artwork near-on identical to her final canvas pieces. ”I used to take my sketchbook, colours and brushes with me when I was going out to do a study but I don’t need them now. All I need is my iPad and my stylist. ”It’s so much faster and you can do more complex and interesting things like zooming in on certain areas which are more intricate to do. travel I just take the iPad and get going. It doesn’t weigh anything. Lillian was born in Massachusetts, USA, and moved to England in the 1970s. She has won many awards over the years and her work has been displayed at the V & A and Royal College of Art. 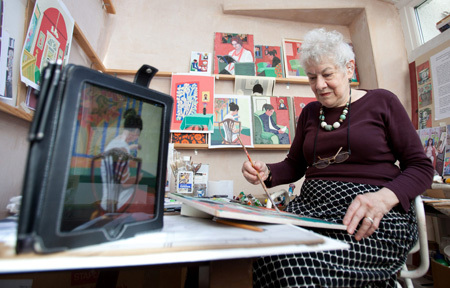 She was inspired to use the iPad by acclaimed artist David Hockney, who is well-known for his iPad and iPhone artwork. 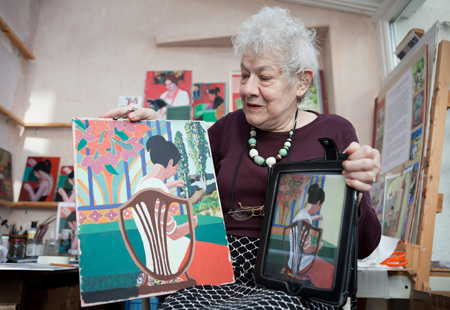 ”David Hockney planted the idea in my head and he’s a great artist who I admire so I thought if he could do it then why not give it a try,” she said. ”My husband was impressed at how quickly I picked it up. I think an artist can learn a lot in a short time on it because of the skills we’ve learned over the years. 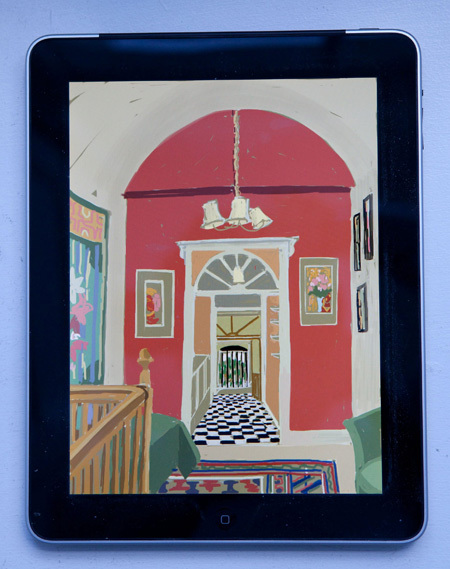 ”I’ve been painting all my life so I bring my knowledge of years of practice to the iPad. Bristol Gallery from November 11 – 13 to raise money for the special needs children’s charity Hop Skip & Jump.